And, if so, what does it look like? In the week when an FSA report says a quarter of people living on low budgets struggle to put food on the table, we thought it useful to remind you of the project report: Food insecurity in Birmingham — a city-level response? At the outset of this project, I didn’t think there was much the city could do, faced with external forces on our food system, and on rising inequality. I was wrong. There’s lots Bimringham — and other cities — could do. Food security is a public good as well as a human right. Reciprocation, fairness and equality in all food exchanges whether monetized or not. Hospitality: Eating is social glue. Encourage food sector profit to derive from local entrepreneurship, not rent (e.g. as in franchises). We consulted widely, read widely, ran a workshop, and then collated the ideas generated by everyone who took part on the project into six levels, some of which inevitably overlap. Yup, we can make a difference . . . just a quick glance through our report will tell you that. 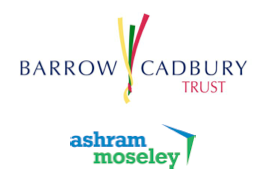 We were grateful to both the Barrow Cadbury Trust and ashrammoseley for their support of this project.